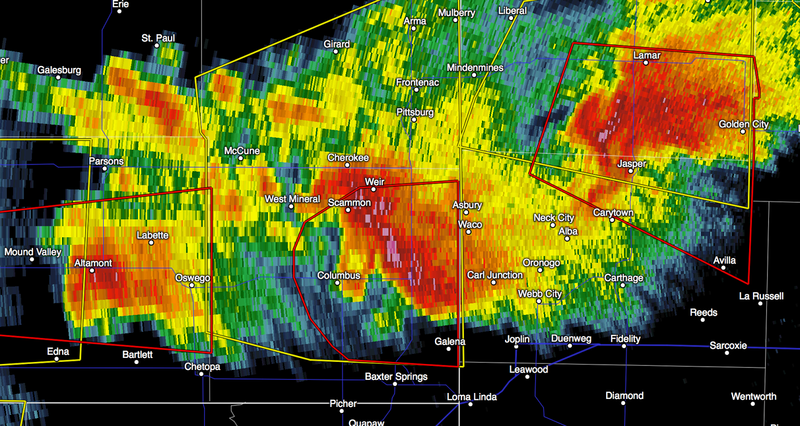 MSE Creative Consulting Blog: 3 Tornado Warnings Continue! 8:28pm radar. 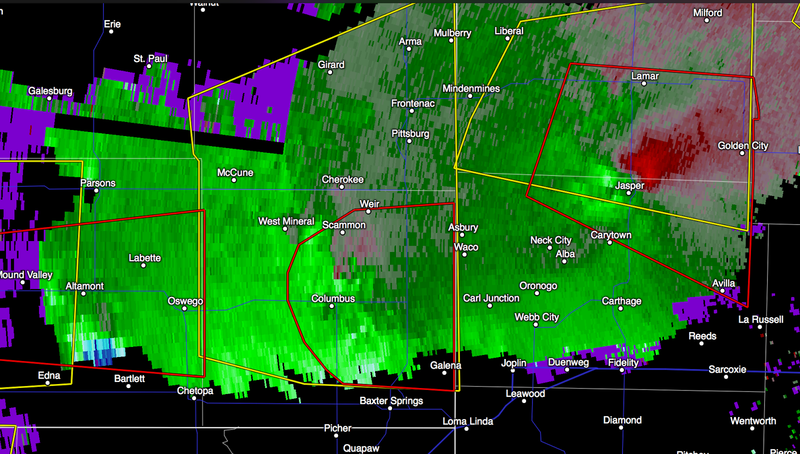 I've circled the rotation which is moving southeast. 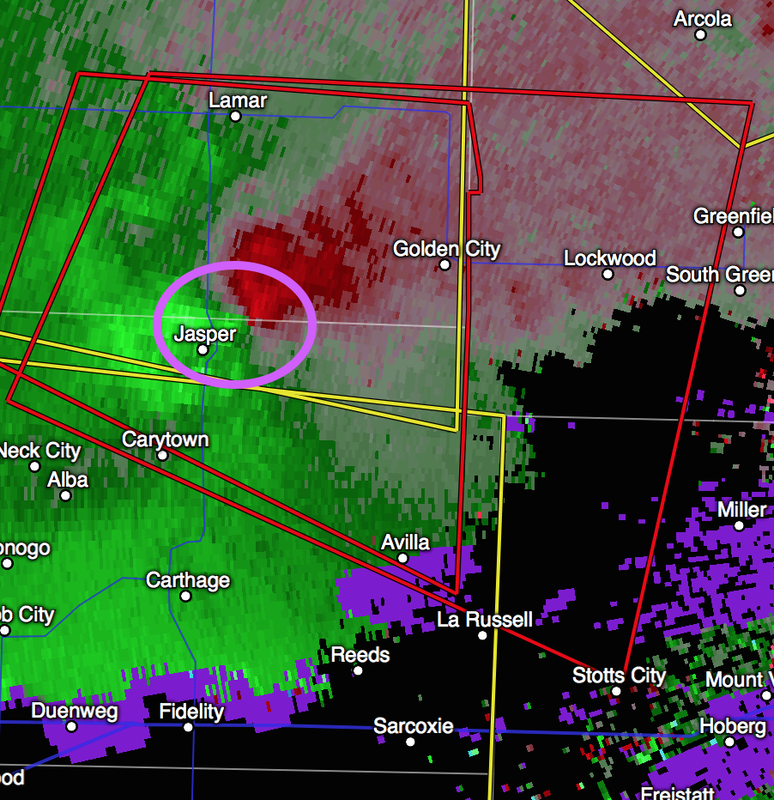 Report of a tornado in Jasper, Missouri. The red polygons are tornado warnings. Radar at 8:24pm. The middle thunderstorm may pass near or north of Joplin. Please insure your family and friends are aware of the situation.